Michelle Yasmine Valladares is joined by H.E. 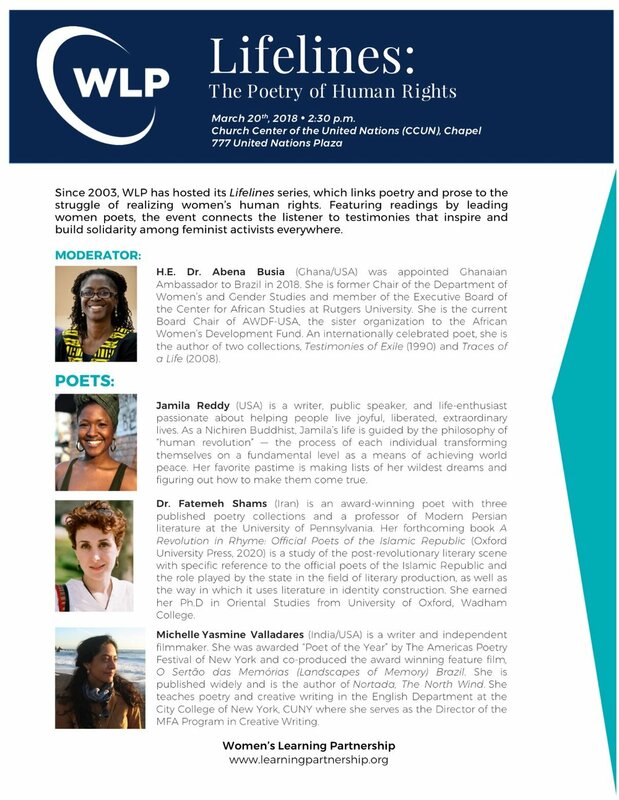 Dr. Abena Busia (Ghana/USA), Jamila Reddy (USA), Dr. Fatemeh Shams (Iran) for the Lifelines series, which links poetry and prose to the struggle for women’s human rights. Michelle Yasmine Valladares in conversation with Vijay R. Nathan (guest host) on the Radio Free Brooklyn show What is Love?